Place Cursor Over Image to Zoom. Use scroll wheel to increase Loupe size. 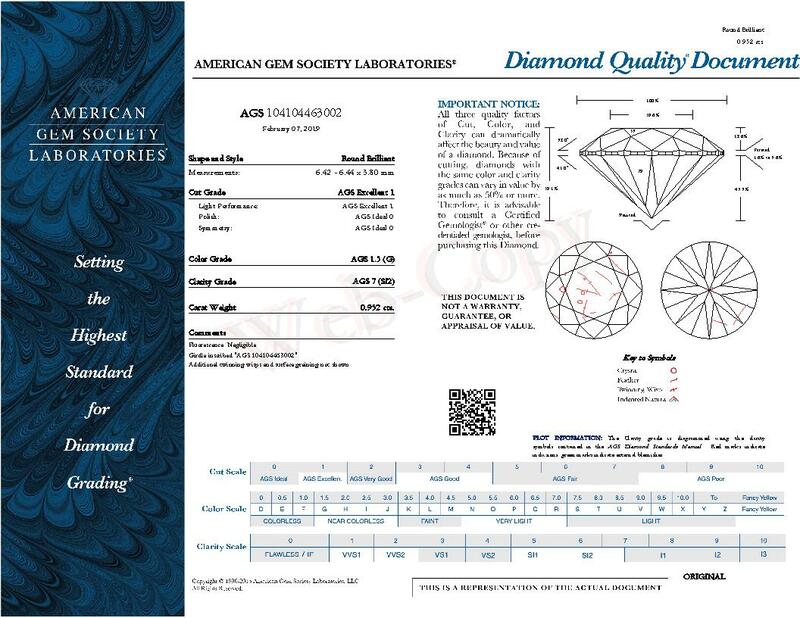 This G-color, and SI2-clarity diamond comes accompanied by a diamond grading report from the AGS.